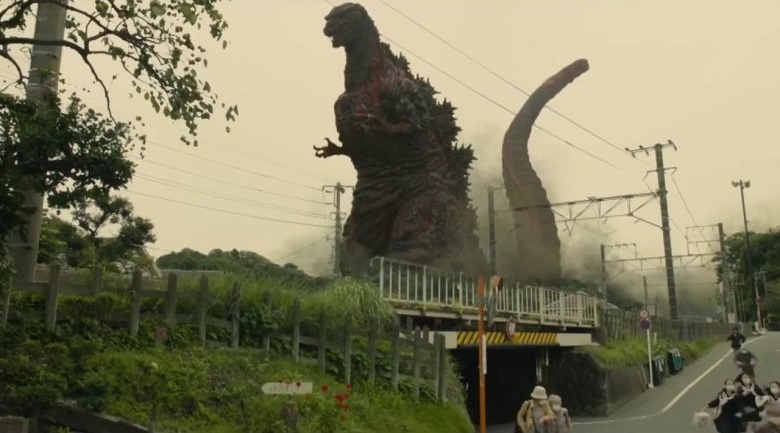 Those looking forward to Manga Entertainment UK’s home video release of Shin Godzilla will be excited to learn that the distributor have revealed some new details about the upcoming release; namely what to expect on the discs as well as how it will be presented. For starters this both Blu-ray and DVD releases of Shin Godzilla will contain two discs with each disc offering a different version of the film; the first disc will feature the original Japanese version with English subtitles whereas the second disc will feature the film dubbed in English, with english translated text on-screen; with the English dub produced by FUNimation Entertainment. In addition to the audio options over six-hours of bonus content will be spread across the discs; with bonus features including Outtakes and Making of Documentaries. Whichever version of the film you go for it will be presented in a black case that will match the black and red cover and sleeve. Shin Godzilla is currently scheduled for release on the 4th December 2017 onto both Blu-Ray and DVD.